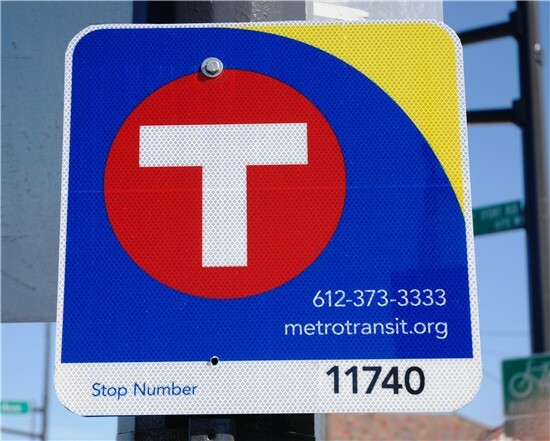 Metro Transit’s 12,268 bus stops are the most visible, widespread and permanent symbols of our organization. Yet, they have lagged behind the re-branding effort already seen on our buses, customer-waiting shelters, transit centers and Park & Rides. That’s one reason why we’re redesigning them. Another is to give customers, residents and visitors better access to transit information. Our goal is to provide as much information as possible at every stop. For years, our busiest boarding locations have included regularly updated route schedules and maps and, in some cases, real time NexTrip signage. Currently, about half of all boardings occur at 125 or so transit stops and 75 percent occur at 550 stops. Route identifiers, schedules and/or maps are posted and maintained at these and scores of other stops. Part of our business cycle is to perpetually refine routes and schedules to adapt to changes throughout the region. We publish new schedules four times per year. As you would expect, maintaining and posting new schedules and maps physically at every bus stop in our seven-plus county service area presents a large and very costly challenge. That challenge will only increase as transit continues to expand in our region. Upwards of 90 percent of Twin Cities residents possess cell phones or mobile devices. Month after month our customers increasingly access transit information electronically. 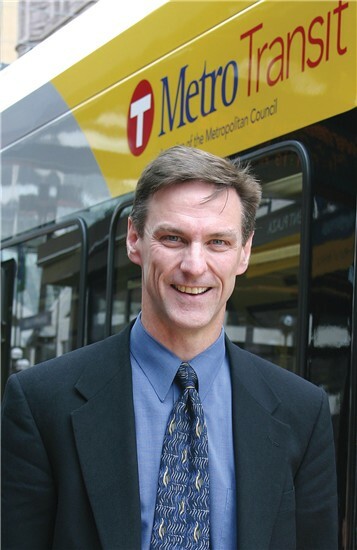 This trend provides us an opportunity to cost-effectively provide access to essentially all transit information for the Twin Cities on every bus stop sign in addition to the on-site information at the busiest stops. If you’ve been on West 7th Street in St. Paul or on Marquette or 2nd avenues and connecting east-west streets in downtown Minneapolis, you may already have seen some of our newly-designed signs. These signs were placed in the community during a pilot period so we could get feedback from customers and bus drivers. After receiving a positive response, we plan to begin rolling these signs out in more of our service area. The red, yellow and blue signs prominently feature the “Circle T” that is instantly recognized in this region and beyond as a symbol for transit service. The signs also include the regional Transit Information Center phone number (612-373-3333), regional website address (metrotransit.org) and a unique Stop Number. We believe these elements will be extremely useful for customers while also eliminating on-location maintenance needed to keep them up-to-date. Customers who encounter the signs will not merely be directed to our phone number and website. Using a mobile phone, the unique Stop Number can be used to retrieve NexTrip real-time departures for all routes that serve the stop. Customers who call our Transit Information Center can also use the number to receive faster, more effective trip planning assistance. Increasingly, our detour and disruption communications also include unique stop numbers. Getting these new signs in place will require extensive coordination with each of the 90 cities we serve. We expect to roll out the new signs to the region in stages and over a period of time – beginning with our busiest facilities and stops, then along the northwest and central corridors. We look forward to adding more of them in 2014 and beyond and we hope you do, too.